Agapanthus Headbourne Hybrids is commonly known as African lily. An old strain that has been grown for many years due to being reliably hardy and it's ability to flower annually. 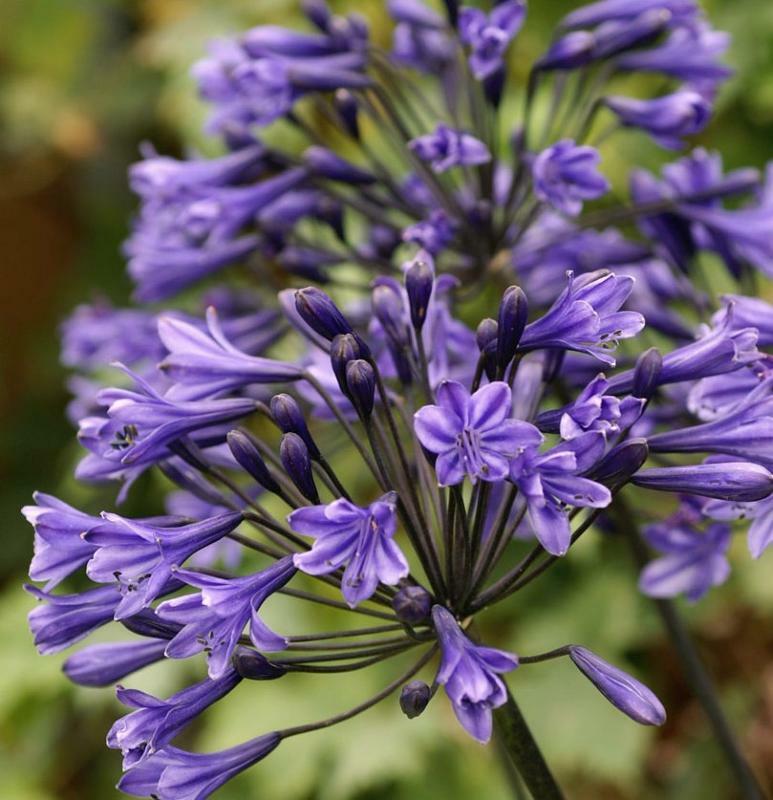 This plant is a clump forming perennial with narrow green leaves and tall erect stems which bear umbels of funnel shaped blue flowers during the summer. Easy to grow in full sun in fertile and moist but well drained soil. A good container plant. Hardy, although a covering of mulch is needed in colder areas. Height 1m. Supplied in a 9cm pot.